Gov. JB Pritzker's administration is pleased with the findings of a peer-reviewed study of a graduated income tax despite its conclusion that it would raise less revenue than the Democrat predicts. The study released last week by the Illinois Economic Policy Institute and the Project for Middle Class Renewal reviewed various scenarios for a system requiring the wealthy to pay more. Illinois has a 4.95% flat rate. Illinois Gov. 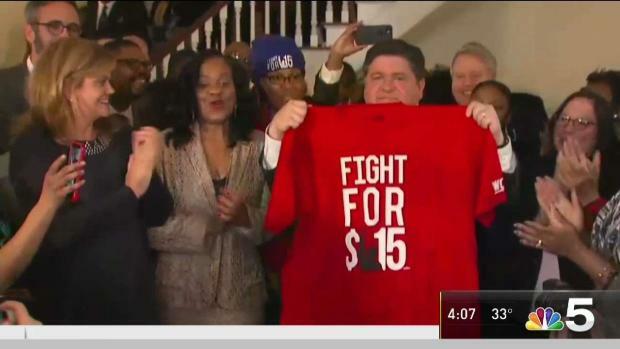 JB Pritzker signed a bill Tuesday to raise the state's minimum wage to $15 per hour by 2025. NBC 5's Christian Farr reports.